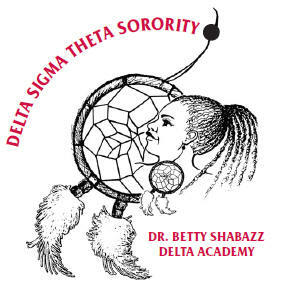 The Dr. Betty Shabazz Delta Academy was created out of an urgent sense that bold action was needed to save our young females (ages 11-14) from the perils of academic failure, low self-esteem, and crippled futures. Delta Academy provides an opportunity for Southfield Alumnae Chapter (SAC) to enrich and enhance the education that our young teens receive. Specifically, we augment their scholarship in math, science, and technology, their opportunities to provide service in the form of leadership through service learning defined as the cultivation and maintenance of relationships. A primary goal of the program is to prepare young girls for full participation as leaders in the 21st Century. SAC’s Delta Academy program sessions are held bi-weekly beginning in September (orientation session) and ending in May (closing ceremony). Program participants are known as scholars and activities are designed with the focus of achieving the primary goal established for the Academy. Workshops include but are not limited to self-esteem, etiquette, historical and cultural enrichment, early financial responsibility, medicine and technology. Scholars are also exposed to leaders in the community and participate in community service activities. Applications are typically distributed at an informational meeting held in September of each year. For additional information, please contact DeltaAcademy@deltasac.org.